Picard is tortured by his Cardassian captors as they try–and fail–to get any of the Starfleet plans of defense against Cardassia. Then, the torture turns to just being torture for the sake of torment. Picard initially seems to be breaking, but then he realizes that his tormentor was himself tormented and Picard begins to think of him as a lost, small, scared little boy. Ultimately, Captain Jellico’s bold maneuver to put mines around the Cardassian ships saves the day and Picard is released. For a fuller plot summary, see Memory Alpha. Patrick Stewart’s acting sells this one hard, but it’s not just that. This episode was fantastically written. The torture scenes are truly tough to watch, but you can’t help but watch, hoping that Picard doesn’t break under the pressure. After Picard is released and he’s talking to Troi, he admits that he not only wanted to see five lights, but he was convinced for a moment there were five. It’s a tough perspective on how we can learn to fool ourselves under pressure–or indeed, even without pressure. Meanwhile, Captain Jellico is off being his crazy self and trying to hardball the Cardassians. As a viewer, I couldn’t decide whether I wanted to root for Jellico or not. When Jellico had to go ask Riker to pilot the shuttle that laid the trap against the Cardassians, it was sweet to watch Riker sit back, smile, and say “Ask me.” More evidence of great writing. It was also nice to see Data in red. I’d love to see a spin-off series with Data as a Captain. Or, you know, any new Star Trek TV series. I can dream, right? The Cardassians are turning into a formidable opponent to Starfleet, and I’m excited to re-watch Deep Space Nine once we’ve gone through TNG entirely. Remember way back in Season 2 when there was an episode in which La Forge tried to foil Data on the holodeck with a Sherlock Holmes mystery he couldn’t solve (“Elementary, Dear Data“)? Yeah, and remember how Moriarty was promised they would try to find a way for him to walk around outside the holodeck? Yep, that happened. Well, Data and La Forge were back at it and they–and Barclay–accidentally reactivate Moriarty. Moriarty walks off the holodeck himself, and he demands that Picard and crew get the love of his life off it as well. As they scramble to do so, a nearby planet and star are colliding, putting the Enterprise in danger. Ultimately, Data realizes the whole thing is just a ploy and Picard, Barclay, and Data manage to trap Moriarty in a smaller memory capsule while still allowing him to think that he is free. The plot twist in this was great, and I confess I didn’t remember it at all. To suddenly find out that Picard, Barclay, and Data are actually trapped in a broader holodeck program made by Moriarty was just stunning. More importantly, it didn’t seem at all contrived. Sure, you have to suspend some disbelief in how Moriarty was able to reprogram the computer, but it still seems to fit in with how the holodeck has been treated in the past. But seriously, this was a great mystery episode that I thought I had figured out. Then, BAM, you don’t know what hits you, but you realize that you’re not as smart as you thought you were. This was a surprisingly great episode that helped tie up a loose thread in epic fashion. The Enterprise is on hand to evaluate some kind of particle stream technology at a space station to see if Starfleet will back it. The project seems to have everything going wrong, but an experimental robot–the Exocomp–appears to be doing great work on catching up. Then, they start malfunctioning. 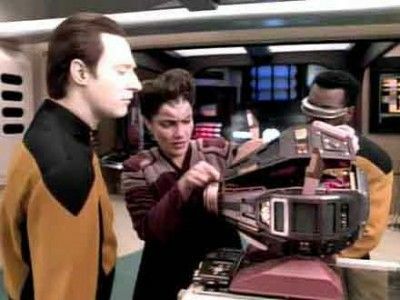 As Data, Geordi, and Dr. Farallon–the lead of the project on the space station–try to figure out what went wrong, Data begins to suspect the Exocomps may be alive. Work on the station is slowed down as Data performs a few tests and appears to be mistaken. However, as he goes back over the problem, he discovers the test did not actually reveal what he thought, and the Exocomps are alive. They are to be deployed as sacrifices to save Captain Picard and La Forge, who were trapped on the station , but Data interferes and the Exocomps save the day anyway, by sacrificing one of their own. Lots of plot to try to summarize here, but it’s a fairly straightforward episode despite all that. There are machines that, on close examination, appear to have attained some kind of self-preservation functionality. Are they alive? Data says yes, everybody else appears to say no. Ultimately Data is apparently proved to be correct. There are some questions to be asked here, and the episode occasionally touches on them. One is the definition of “life” and what constitutes a life form. Others that weren’t touched go around the question of artificial intelligence. Is self-preservation really the best criterion for establishing that something is life? Could not an AI program generate self-preservation as part of its accomplishment of assigned tasks? Is life emergent or sui generis? These questions are barely even hinted at in the episode, but they keep popping up in my mind. That’s what undermines the core of the episode: the execution just isn’t quite there. It skirts over some tough issues (those hit upon in episodes like “The Measure of a Man”) to make its point, but it gets their both too quickly–by ignoring questions–and too slowly–by having too much of the plot consumed by one question. It’s certainly not a bad episode, but it left a strange feeling afterwards. It wasn’t quite satisfactory. The Enterprise is handed over to Captain Jellico and Picard is relieved as he, Worf, and Crusher are sent on a secret mission into Cardassian territory. Tension has been rising along the border and Starfleet believes that the Cardassians are developing a biological weapon. Jellico clashes with the crew–particularly Riker–as his hardlined get-crap-done style goes against the more deliberative way the crew has been operating. This episode is intense! The Enterprise has a different captain, Picard and team are training for a secret mission, the Cardassians are putting on the heat, and the crew is struggling to deal with the swirl of changes around them. Troi had a good scene when she went to Jellico and attempted to convince him that he was a bit over-the-top. She was roundabout enough to not get in direct confrontation, but also pointed enough to get her thoughts across. The scene just revealed how big a jerk Jellico is. One major question that remains in my head (and I suspected it wouldn’t be resolved in the next episode) is how such a hard customer as Jellico managed to be a Captain of some pure science vessel like the Excelsior class. I mean maybe it helps them get exploration done more quickly but wow he needs to take a chill pill. Although the infiltration scenes were a bit of a stretch (the three of the crew kept talking in normal voices–even crying out at times–in a situation in which they would have needed absolute silence), they were still exciting. To discover that it was a trap was a thrill, even though I’d seen the episode multiple times before. Overall this was a great Part I. A huge question is left wide open: What happens to Picard!? Grade: A “The plot thickens! Traps are laid! Picard captured! A dream come true: Star Trek: The Ancient West. A strange transporter incident leads to Ensign Ro, Captain Picard, Guinan, and Keiko O’Brien to have their bodies turned into those of children. As the crew tries to adjust, a treacherous Ferengi trap leads to the Enterprise being taken over. The bite-sized crew members have to work with children to take the ship back over, and succeed in the nick of time. I found this an absolutely charming and delightful episode. Seeing how each individual struggled with their new body was hilarious, but also at times endearing or even sad (as in Keiko’s case). Picard, of course, had a lot of trouble simply because he doesn’t like children. My favorite part was watching young Picard throw a fit and hug Riker, his “dad.” It was hilarious and advanced the plot. The Ferengi are always a bit hard to take seriously as a major threat, but they did a good job here of making them more threatening by taking over others’ ships and being craftier than usual. Too often, they’re portrayed as just being stupid or greedy (or both), but “Rascals” cashed in on them being more nefarious and cunning. I remember hating this episode when I was a kid. After all, why would I want to watch what kids were doing when I could see the cool adults solving all the problems? But now, adult perspective has made me think this episode is just quite a bit of fun to watch. The Enterprise has a few days to wait for a rendezvous and as they do so, Geordi and Data attempt to make Data into a backup of the computer system. 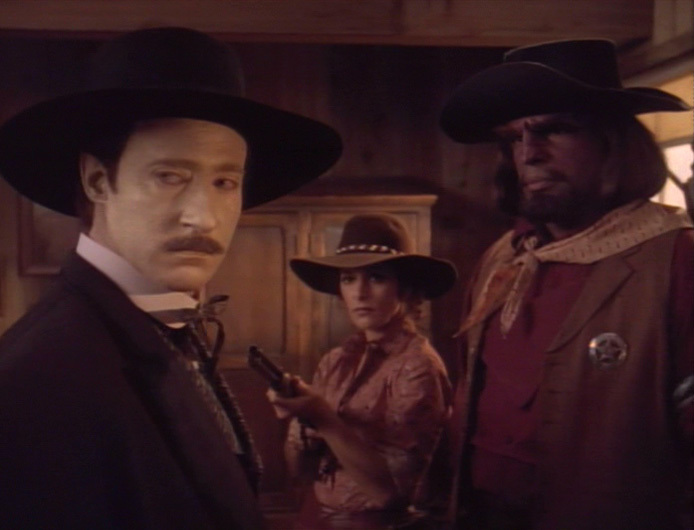 Meanwhile, Worf and Alexander are joined by Troi as they go to the holodeck to enjoy a Wild West (as they call it, “ancient West”) adventure. 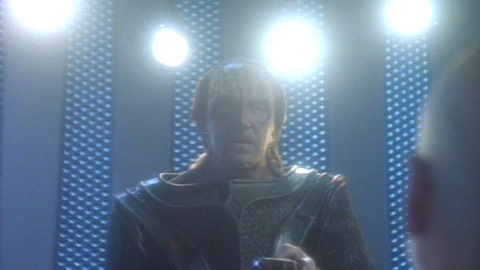 Data’s interfacing with the computer, however, leads to his neural network weirdly integrating with parts of the recreational systems on the ship, including the holodeck. As systems on the ship go haywire, Worf, Alexander, and Troi are put in terrible danger as Datas begin to take over the holodeck simulation. Ultimately, they manage to play out the story of the ancient West and Geordi/Data get Data’s brain out of the computer. 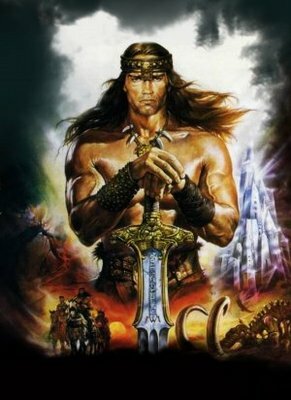 Genre-blending can sometimes go terribly… TERRIBLY! Other times, it is awesome. Here, we have a mash-up of science fiction and wild west and it goes quite well indeed (of course, I would be remiss to mention Firefly around as another example done right). First, the opening was hilarious. Picard just trying to relax while the whole crew comes to him with various requests… then Worf trying to get out of the time in the West with Alexander. It was funny to see Data taking over various personages in the holodeck simulation–the amount of outfit changes he must have had to do for this episode! I laughed out loud a couple times as the transition continued. It feels like a generic shootout set-up (though with strong tones of the movie Tombstone, which is fantastic), but you don’t mind because having it mixed in with the science fiction elements just makes it all work together smoothly–or at least more smoothly than one might expect. The episode comes full circle at the end when Worf tells Alexander the Ancient West needs its sheriff and deputy. It’s just so fun.